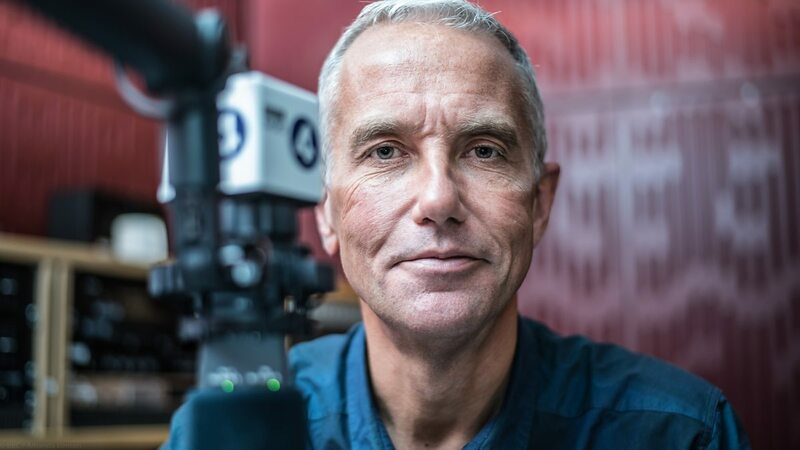 Ahead of his upcoming move to LBC, Eddie Mair has presented his final PM programme on Radio 4 – two days earlier than expected. Schedules had listed that he would bow out after 20 years on Friday, but in an email sent to staff today Eddie reveals that last night (Wednesday)’s edition was his last – and the decision was made between himself and a producer after the end of the programme. He added that working with the PM team had been the joy of his professional life. Eddie starts at LBC in September, after news of his signing was announced in July. Global hasn’t said yet where in the LBC schedule he will appear. It’s understood that alongside his LBC show, Eddie will continue to work for the BBC as presenter of the daily Grenfell Tower Fire Inquiry podcast, when it resumes after the summer break. Paddy O’Connell is guest presenting PM today and Carolyn Quinn tomorrow. A full-time replacement hasn’t yet been announced, but stand-in presenters booked for the next few weeks include Chris Mason, Sarah Smith and Jonny Dymond with Carolyn Quinn. I’m sorry I’m not in the office today as planned. I seem to have picked up one of those 48 hour bugs. Atishoo. Thank you Paddy for stepping in. Coincidentally, I want to tell you about what happened just after PM finished last night. As you may know, we finished the show with a full rendition by Willie Nelson of ‘Bring Me Sunshine’. It was, in keeping with the tradition of PM, a suggestion by a listener. Making the show yesterday had been tortuous for everyone on a quiet news day but in the end, I think we made something pretty good. Eloise and I looked at each other after the meeting and agreed that there was no way to match that for a last Eddie programme. So, that’s what it was…my last PM. It felt right then and it feels right now. No fuss or faff, just as I wanted. Genuinely unplanned, and with its origins in a listener idea. Perfect. Or as close to perfect as we’re likely to get. I hate saying goodboo. Sorry…goodbee. No…goodbiy. Dammit. I still can’t say it. What I do say is this. One of the biggest struggles I had in deciding whether to leave is a truth we both understand. Yes I bring something to PM and I have talents and abilities that help the programme. I don’t know the answer to that but it’s high time I tried. Working with you all has been the joy of my professional life. There is a rich deep seam of talent in our department and I’ve been privileged to be part of it. Thank you for everything you’ve done for PM, iPM and hundreds of years ago in my case, BH. I am literally missing you already. From what I know of the plans for the department, PM is about to get a brilliant editor. The show, about which I care so much, is about to get even better. So this old fart is buggering off and leaving you to do what you all do brilliantly. According to the BBC back on July 2nd (when it was announced he was leaving), he was supposed to on-air until August 17th. My maths isn’t that bad, but that’s definitely more than 2 days. Presumably he had some holiday allowance left. They announced a couple of weeks ago that his last show would be Friday 10th Aug.